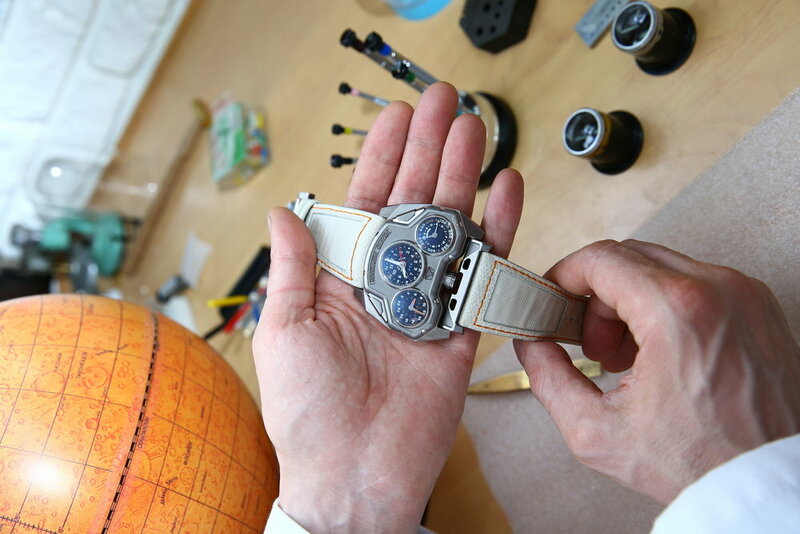 Doing something that’s never been done before is nothing new to Moscow based Konstantin Chaykin. 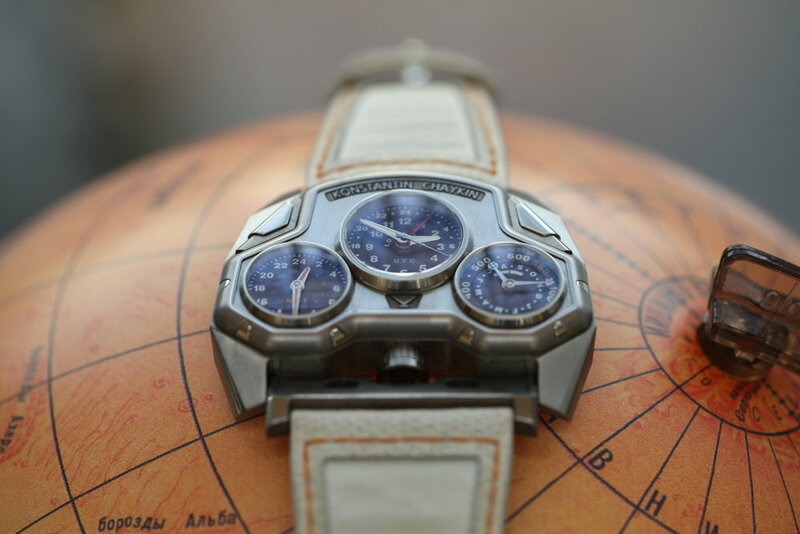 A relentless inventor and a truly pioneering watchmaker, brave enough to constantly explore unfounded horologic territory, Chaykin has built a reputation for his extraordinary, otherworldly creations over the past decade or so. That loyal fan base has recently exploded thanks to the enormous success of his tongue-in-cheek novelty watch the Joker, which has made this Russian independent watchmaker as much a household name as it might ever have been possible to dream of. While the Joker is all fine and good, it is a piece created with the intention to put a smile on the faces of owners and admirers alike, and perhaps, maybe, with its manic rolling eyes and gaping grin just becoming a little too popular for its own good, so as to risk pigeon-holing a great mechanical innovator as a creator of comic book horology. Fear not. Because Chaykin’s latest creation is a return to form, which no doubt draws on the universal appeal of the Joker phenomenon, and allows the watchmaker to indulge himself once again in the theme of space, which has fascinated and inspired him so much in the past. On the day that Russia and the wider scientific world celebrates the fifty-eighth anniversary of cosmonaut Yuri Gagarin becoming the first man in space, aboard Vostok 1 on April 12, 1961, Konstantin Chaykin has unveiled his latest marvel, the Mars Conqueror, and it is a thing of old-school sci-fi goodness. With three functional displays arranged in a symmetric triangular cluster like an old instrument panel and mounted on top of a titanium case, it doesn’t take too much imagination or squinting of the eye to picture the Mars Conqueror as a retro-esque spacecraft, particularly with the crown which sits centrally between the lower lugs resembling a rocket booster exhaust. Its styling is pure 1960s science fiction action toy, but behind its appearance is a very special movement which features some pretty unusual gearing on a very unusual layout, and yes, it is all very cool. Mars Conqueror takes the multiple time zone functionality we are well used to seeing and gives it a radical twist. Time is displayed across the trio of dials, each one of which is self contained inside its own bezel, with the local and UTC (GMT) time on earth, including seconds, displayed on the central and most prominent dial. This is flanked on either side by the other two displays, with Martian time (a Martian day being 39 minutes and 35 seconds longer than one of our own days) displayed on the left, and therefore rotating every 24:39:35 hours, minutes and seconds, and on the right the Martian calendar in months and sols, of which the Martian year has 668.599 in each rotation of the sun. There’s no doubt that having Martian time on a watch is a little ahead of the current requirements of even would-be galactic explorers like Elon Musk right at this point in time, but the fact that Chaykin has invented this mechanical algorithmic tongue-twister is surely impressive. In fact the mechanism is a combination of the triangular self designed K20-1 module which is married onto a base ETA 2836-2 self winding movement. 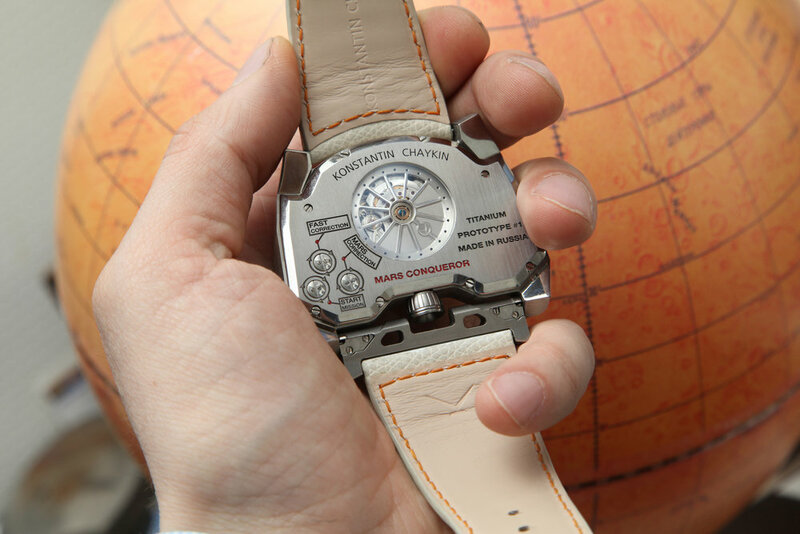 While the local and UTC time is adjusted by the crown, the other functions (Martian day and calendar) are set using screws on the caseback which features an imprinted diagram for simplicity, as well as a round sapphire exhibition window through which the spoked rotor can be seen. The titanium case measures 60mm x 48.5mm including the lugs, the lower of which is articulated to allow for freedom of movement as well as providing the necessary clearance for the crown. The strap is made from white leather with central segments using genuine space suit fabric. The Mars Conqueror is only in prototype stage at present, but it’s up and running, and Konstantin has told me that pricing and production numbers are still not finalised. If the Joker is any kind of a precedent or indicator of form, he may need to devise a method of warp speed production to satisfy even some of the demand for this marvellous and almost wholly impractical watch.